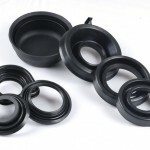 Lusida Rubber Products, Inc specializes in the manufacture of rubber products. It is a process by which latex is gathered from a rubber tree. A groove is sliced deep into the bark of a tree using a hooked knife and later the bark is peeled off from the bark. Before tapping rubber, one should make sure that the tree is approximately six years old with six inches in diameter. Rubber tapping does not pose threat to the forest since it does not involve trees to be cut down for the latex to be extracted. Jungle rubber is presumed to be the secondary forest. The primary objective of a rubber tapper is to eliminate a thin layer of bark from the tree. If it is done in an appropriate manner, tapping panel extracts latex for duration of about five hours. The process of rubber tapping is executed during nights or early in the morning. As a result, latex would drip much before coagulating and sealing cuts. Additional chemicals are mixed to the latex cup in order to preserve the latex for a longer period of time. Natural coagulation is blocked using ammonia solution thereby enabling latex to remain in its liquid form. Plastic bags that contain coagulant replaced cups across various plantations situated at Malaysia. This type of latex is primarily used as a raw material for latex concentrate. The term ‘Elastomers’ refers to long chain polymers that are capable of cross-linking. This process is known by the name ‘Vulcanization’. The Lusida Rubber Products based in Pasadena, California aims at the distribution and supply of only superior quality rubber products.